is anyone else way more productive when they're sick? it's the oddest thing...the minute my nose stuffs up i start sewing pillows. 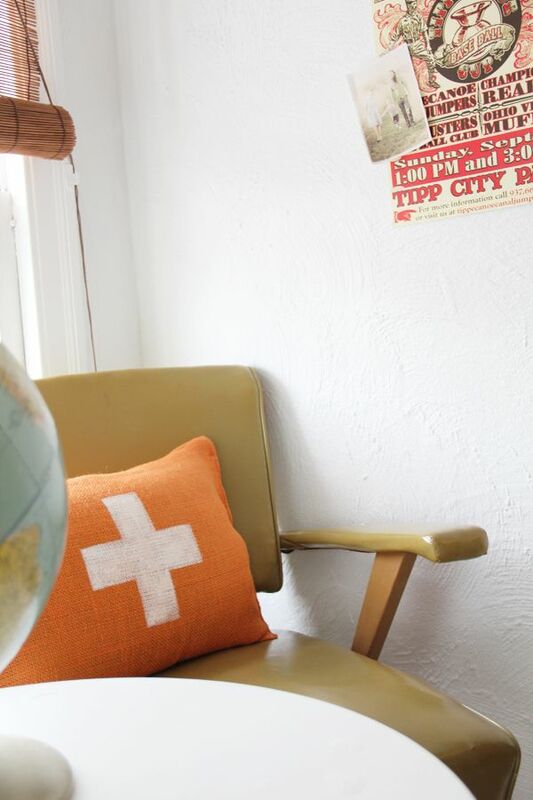 i made this little burlap and painted swiss cross pillow for buddy's room during the peak of my fuzzy-headedness. and now i can't stop painting random symbols on burlap. p.s. 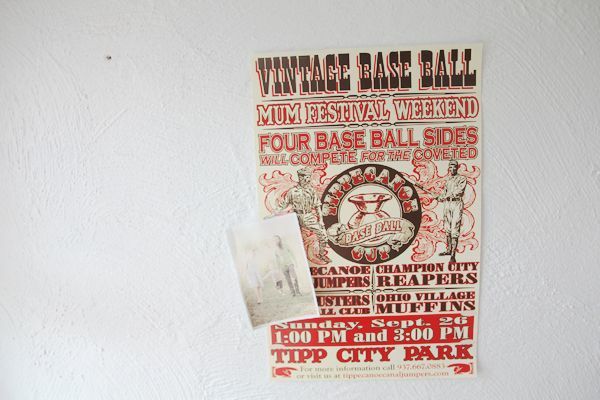 this is a poster from the vintage baseball game we went to last year. i have it hanging up in max's room. i found an extra one in my basement this week if anyone would like it! email me and i'll send it your way. *edit: the poster has found a brand new home! 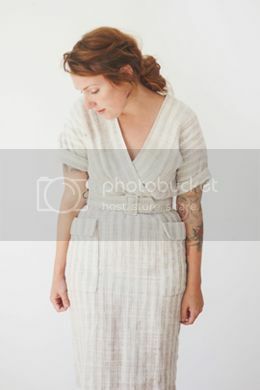 I was just recently very very sick (and on my birthday, no less!) and couldn't bring myself to much of anything..but cheers to you for making the most of it! That poster is adorable! I can't imagine how fun a vintage baseball game would be! 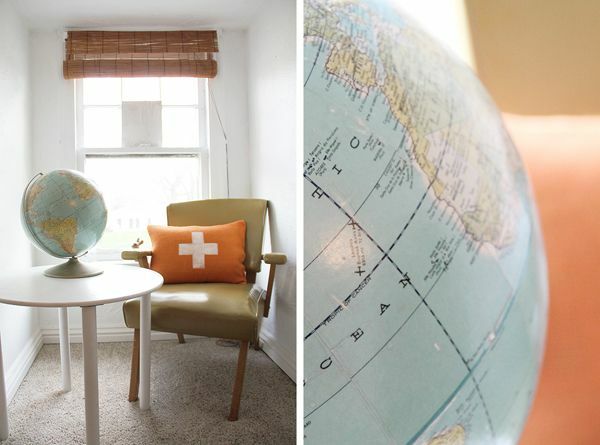 The pillow rules! What else got the pleasure of your paintbrush? i wish i was productive when i'm sick, but usually i just want to lay in bed and read a book. i love making pillows; haven't done it for awhile. i moan and whinge and wish for a fairy godmother when i'm sick. you and your pillows are amazing. ps hope you are better right quick!